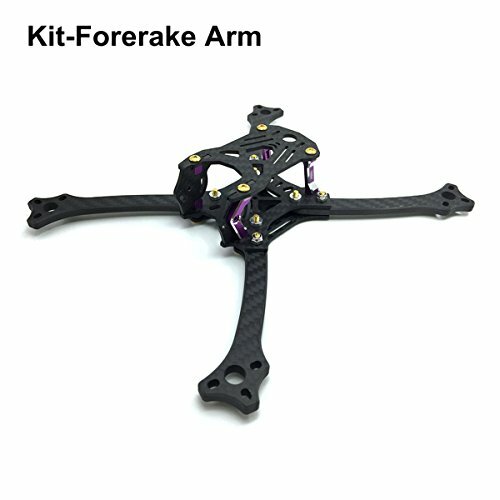 "X" Type-----X design reduce resistance when racing, allow you more control, similar with alien and martian quadcopter frame. Lightweight And Easy To Carry-----Unibody design makes it super lightweight and resistant to crash, compact and easy to carry. Motor mounting axis distance: 211mm, Weight: 135g, Top plate thickness: 2mm, bottom plate:2mm, Arms: 5mm.